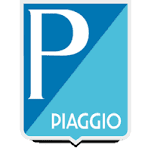 Piaggio Automobiles Customer Care Number : Piaggio Vehicles Private Limited (PVPL), the pioneer of 3-wheeler goods transportation in India, is today the no. 1 in its class. By setting global standards in vehicle performance and customer service, it has revolutionized the 3 wheeler cargo segment in India. Today the company offers a range of passenger and cargo vehicles for many customized applications. PVPL is a 100% subsidiary of Piaggio & C. s.p.a. of Italy, the inventor of 3-wheelers. PVPL commenced its Indian operations in the year 1999 with the launch of the brand apé which was an instant success and has grown from strength to strength over the years.